MONTGOMERY, AL – Jake McGee struck out ten batters in his four innings, and the Biscuits (2-2) overcame a late blown-lead with a two-run eighth to beat the West Tenn Diamond Jaxx (2-2) 6-4 Friday at Riverwalk. After Scott Savastano hit a three-run homer off Dane De La Rosa in the top of the eighth to tie the game at 4-4, Cody Cipriano started the bottom-half with a single. Matt Sweeney then reached on a fielder’s choice and John Matulia singled to put runners at first and second. Chris De La Cruz then reached on a fielder’s choice to put runners on the corners, and Emeel Salem singled to right center to go up 5-4. Rashad Eldridge bunted for a single to score De La Cruz to make it 6-4. Matt Gorgen (3-1) struck out the top three in the Jaxx order in the ninth to finish things. Biscuits pitching set a new season-high with 16 strikeouts total. Nevin Ashley doubled home Eldridge in the first to put the Biscuits up 1-0. Chris Nowak plated Salem with an infield single in the fifth to put Montgomery up 2-0. West Tenn made it 2-1 in the sixth, but the Biscuits followed with two more in the seventh to go up 4-1, setting the stage for the eighth inning drama. The top two in the Biscuits order – Salem and Eldridge – went a combined 6-7 with three walks, two RBI, and three runs scored. McGee was pulled from the game because of a high pitch count after four. West Tenn starter Steven Hensley allowed two runs on six hits over 6.1 in a no-decision. Aaron Jensen (2-1) took the loss, allowing the eighth inning runs. 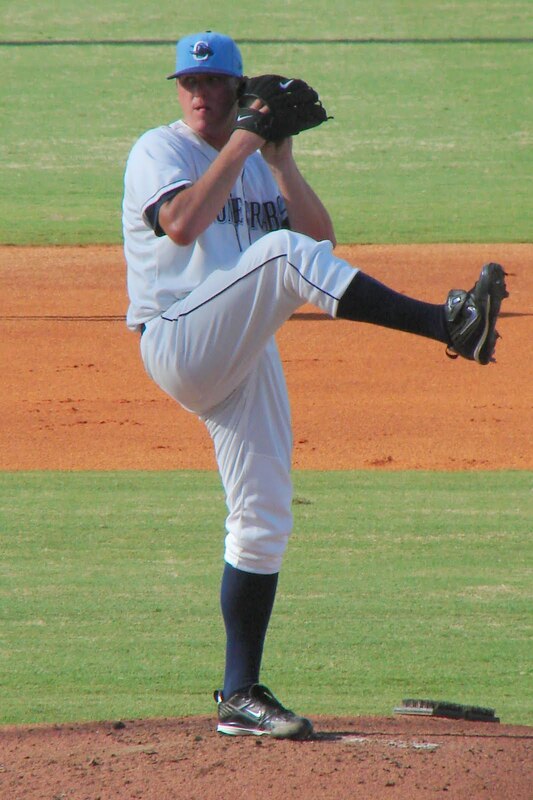 RHP Alex Cobb tosses for the Biscuits on Saturday at 7:05 against RHP Dan Cortes.